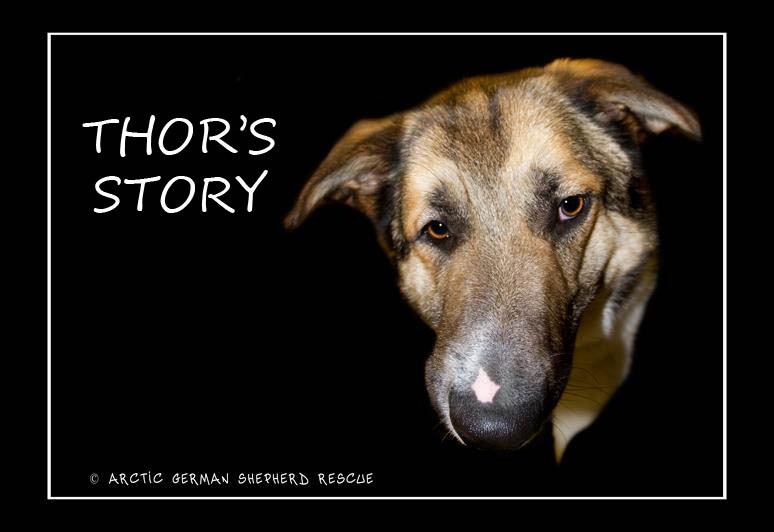 Thor came to the Rescue in November 2012 as a one year old who had been abused and had suffered a broken jaw which healed incorrectly leaving him unable to open his mouth to eat or drink. He learned how to push food into a little tiny gap between his locked jaws and to submerge his face in the water bowl to get a drink. 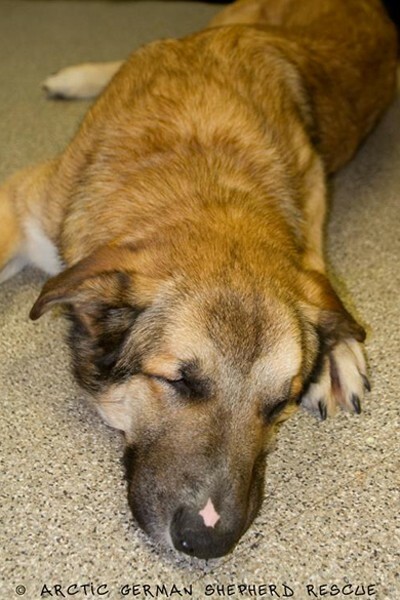 He suffered for over 6 months until he was rescued. 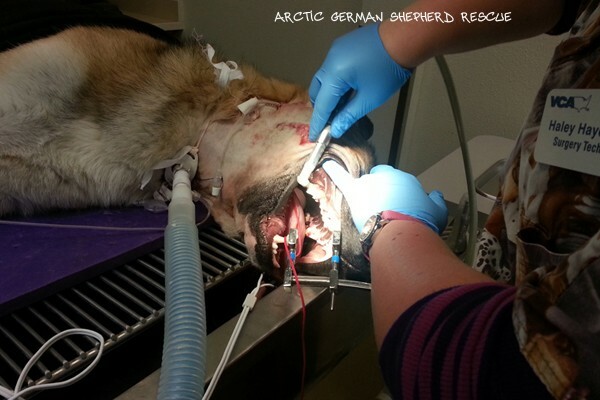 No vet in Alaska knew if this was even fixable - one even suggested to put him down - so as we searched for ways to help him, we read a story about a vet who operated on a K9 officer who was shot in the jaw. 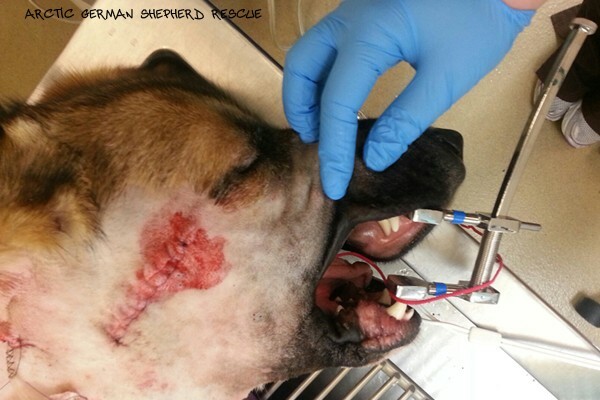 We contacted the K9's handler, who referred us to the vet and in less than 2 weeks, raised enough money to fly Thor to California to consult for surgery to possibly correct his jaw deformity. 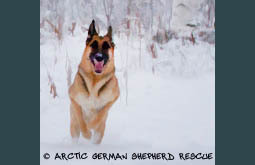 Thor touched a lot of hearts, and thanks to all those generous souls, Thor got his Christmas miracle on Dec. 28, 2012. Today he is happy and healthy in his forever home and able to eat, drink, chew bones and play ball- a survivor who beat the odds! 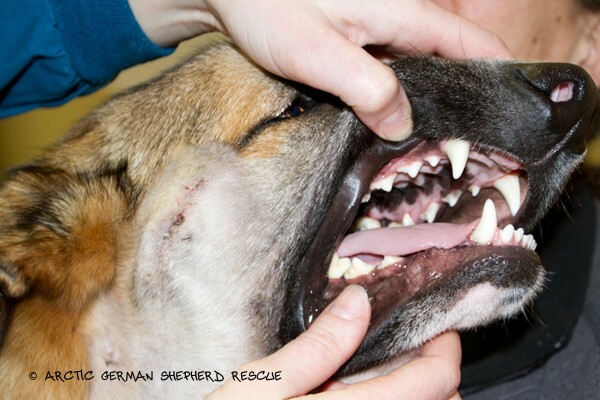 Thor's right jaw was deformed from an improperly healed fracture. 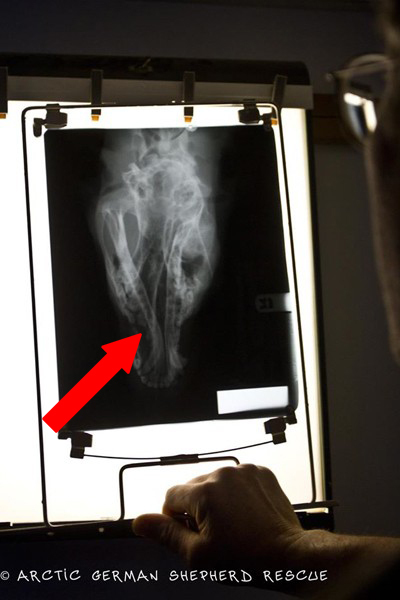 Xray image - bone deformity of the jaw on Thor's right side (viewer's left). 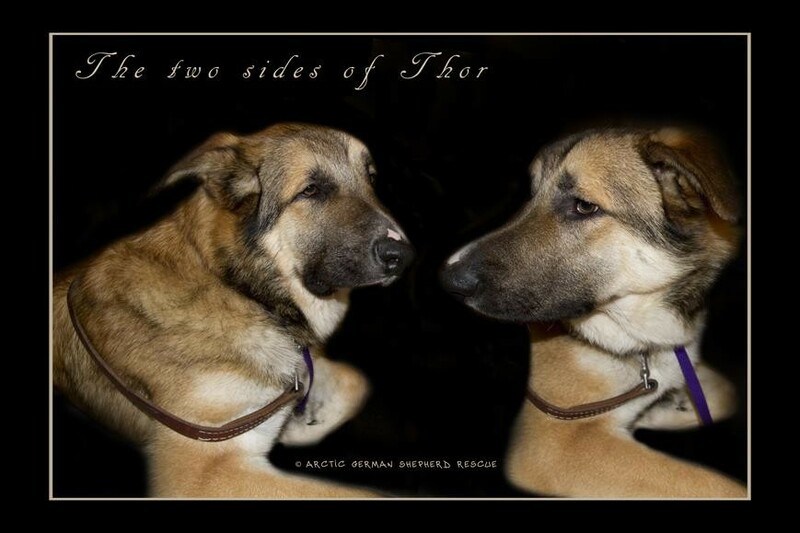 Thor's journey to healing begins. 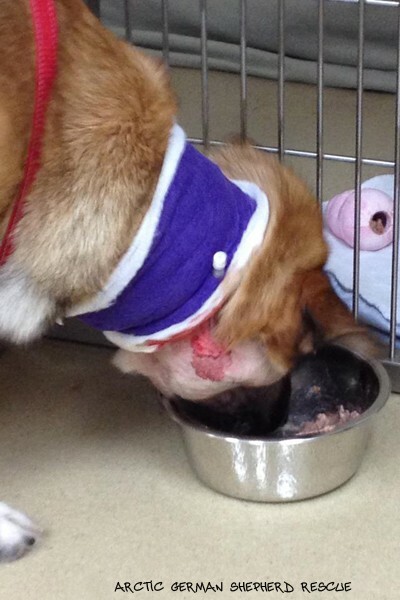 Thor eating normally for the first time since his injury. 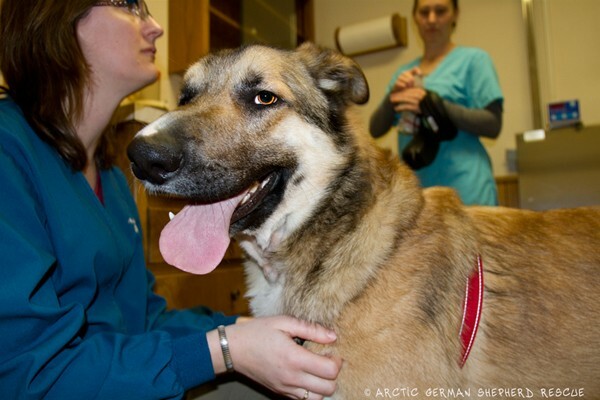 Thor getting his post-operative checkup. Thor with his beautiful, mischievous new smile! Rollie and Thor - two happy pups! !